Let’s start the year with a commitment to be mindful about our money! You’ve probably heard that Americans are not saving enough for retirement. The Center for Retirement Research at Boston College estimates that more than half of all American households will not have enough retirement income to maintain the living standards they were accustomed to before retirement. One way to ensure you are on track is to maximize your contributions to your retirement accounts, and get educated about where your contributions are invested. Attend this free seminar to get clear about your current financial goals. The program will begin promptly at 6:30 PM. 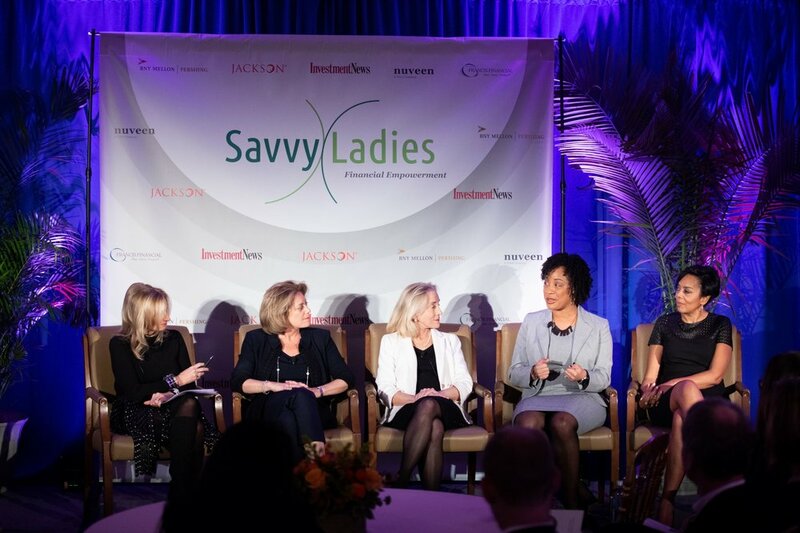 Stacy Francis is the President & CEO of Francis Financial and the Founder of Savvy Ladies. Stacy is a nationally-recognized financial expert who attended the New York University Center for Finance, Law and Taxation, where she completed the Certified Financial Planner™ (CFP®) designation. She comes with over 18 years of experience in the financial industry and is dedicated to her ongoing professional education. Stacy is a Certified Divorce Financial Analyst® (CDFA®) a Divorce Financial Strategist™ as well as a Certified Estate and Trust Specialist (CES™). She is the Director of the Association of Divorce Financial Planners’ (ADFP) Greater New York Metro Chapter, the National Association of Personal Financial Advisors (NAPFA) and the Financial Planning Association (FPA). Stacy is one of twenty of the nation’s leading wealth managers on CNBC’s Digital Financial Advisor Council and she frequently appears in media outlets such as CNN, PBS, The Wall Street Journal and USA Today. Let Savvy Ladies Founder and financial expert, Stacy Francis, help you create goals and get organized for your best financial year ever! According to StatisticBrain, 41% of Americans make New Year’s resolutions, however, over 42% of those making the resolutions will “never succeed and fail on their resolution each year.” However, they also found that “People who explicitly make resolutions are 10 times more likely to attain their goals than people who don’t explicitly make resolutions.” Let's start 2018 with financial resolutions you can achieve! Thinking about how your life will change in the new year? Do you want to save more, purchase a home, take a vacation, or fund your retirement account? Whether your goal is short-term or long term, developing smart achievable goals will ensure your success. Attend this free workshop and get advice from an expert. Join Certified Financial Planner™, Stacy Francis, who will help you focus on your finances and get clear about your goals and how to achieve them. Debbie Epstein Henry is an internationally recognized expert, consultant and public speaker on women, careers, workplaces and the legal profession. Since the late 1990s, Debbie has crisscrossed the globe and spoken to thousands of leaders, professionals, women and students who want to improve the trajectory of their careers and make their workplaces more hospitable for all employees to thrive. Debbie consults to law firms and other professional service firms as well as companies, non-profits, bar associations, law schools and individuals. Her international work includes multiple engagements in The Hague as well as in Paris at the French Senate and in London and Vienna and other cities abroad. For nearly 20 years, hundreds of news outlets have featured Debbie’s work including The New York Times, NBC Nightly News, The Wall Street Journal, National Public Radio, The American Lawyer and many more. Alexandra Lebenthal is the Co-CEO of Lebenthal Holdings and CEO of the company’s wealth management business and broker dealer. She comes from a storied Wall Street family. Her grandparents, Louis and Sayra Lebenthal, founded Lebenthal & Co., Inc, a municipal bond specialist, in 1925. Her grandmother worked until age 93. She followed her father, James Lebenthal, as the company spokesperson. She joined Lebenthal in 1988 and became President and CEO in 1995 at the age of 31. Ms. Lebenthal remained at the firm for four years after its sale, leaving in 2005 before starting anew in 2006.A passionate supporter of women in business, she was named one of the top 50 Women in Wealth Management by Wealth Manager Magazine. She has also been named to the Crain’s New York Top Women Owned Business and the Crain’s Fastest 50 Growing Businesses in New York. 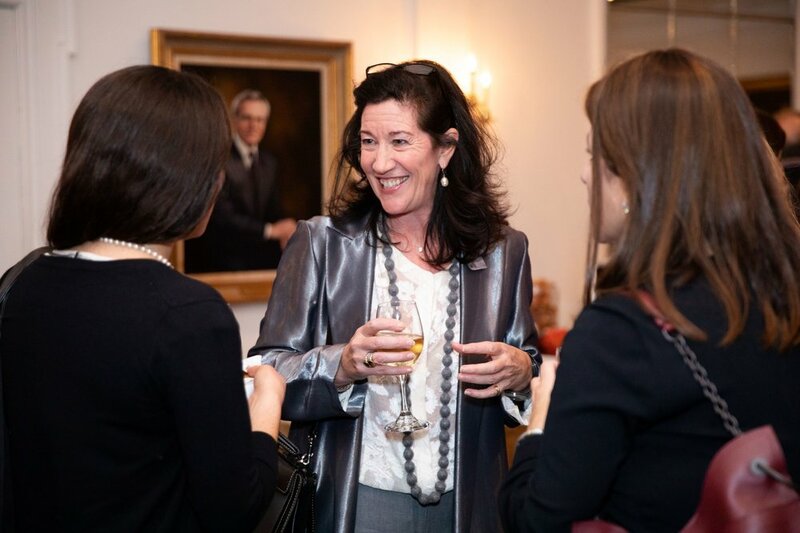 Kathleen McQuiggan is an advocate for investing in women, anda 25+ year veteran of the financial services industry who has dedicated much of her career to focusing on increasing the industry’s understanding of and responsiveness to the financial planning needs of women. 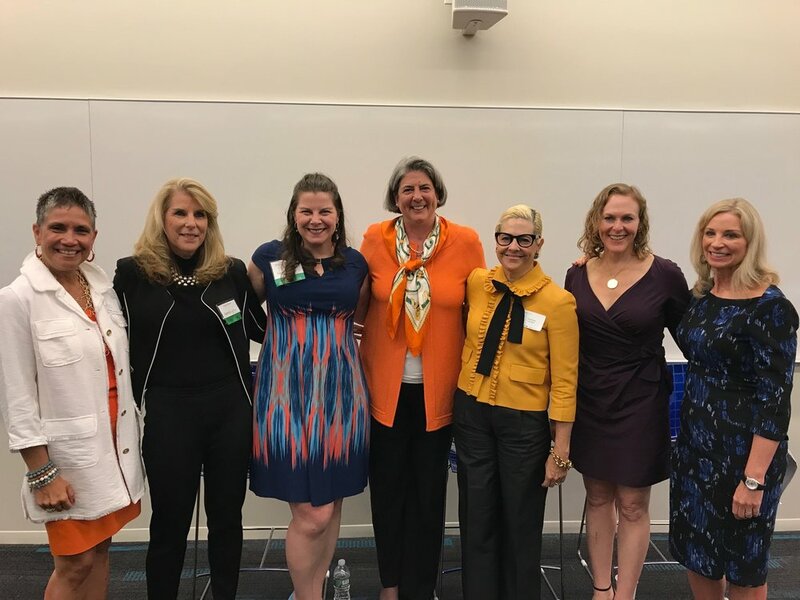 At Pax World and Pax Ellevate, Kathleen leads initiatives related to gender diversity and women’s leadership, and oversees the firm’s broader contributions to thought leadership related to women and sustainable investing and to gender equality as an investment concept. 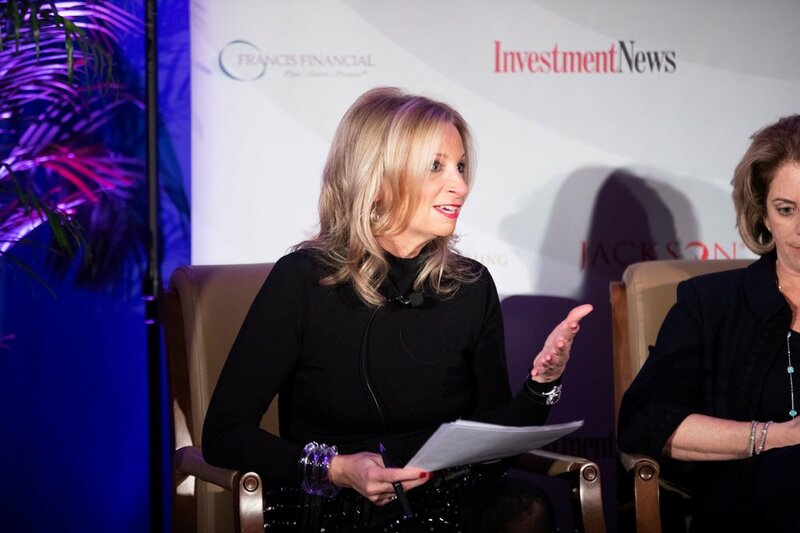 In 2015, Kathleen was named to InvestmentNews’ inaugural Women to Watch list, which honors female financial advisors and industry executives who are distinguished leaders at their firms. 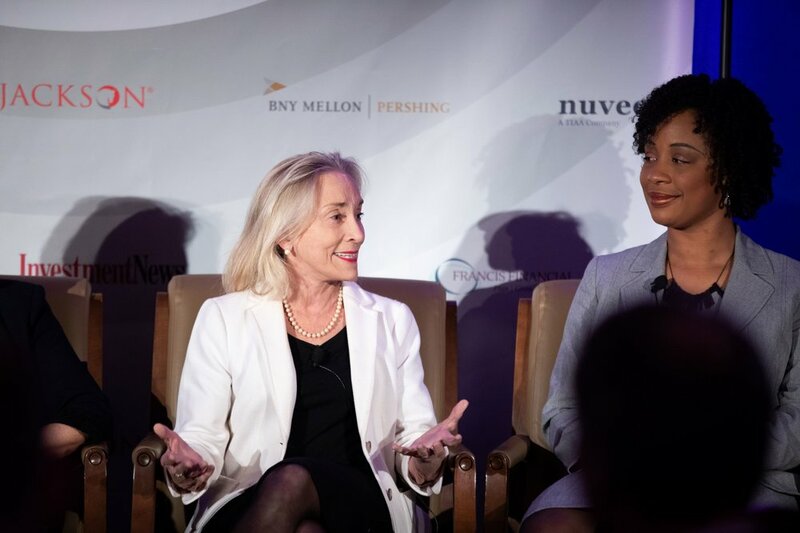 Prior to her current role, Kathleen was President of Catalina Leadership, a strategic advisory organization she launched that focused on investing in women, and was a Vice President at Goldman Sachs for 13 years. 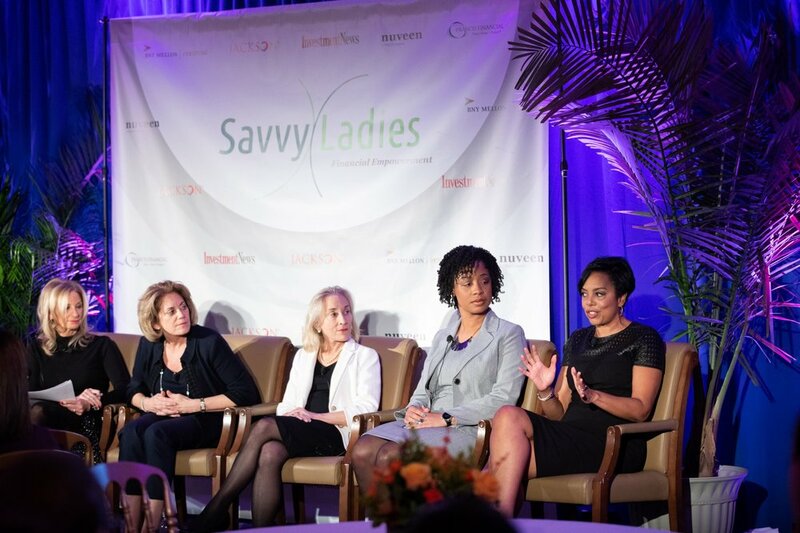 Savvy Ladies returns to the Nasdaq MarketSite this fall to celebrate the 11th Savvy Ladies Annual Benefit Gala. We are thrilled at the opportunity to host our event at the Nasdaq MarketSite in the heart of Times Square. The MarketSite houses a state-of-the-art digital broadcast studio that transmits approximately 100 live market updates and is the broadcast home of Fast Money. 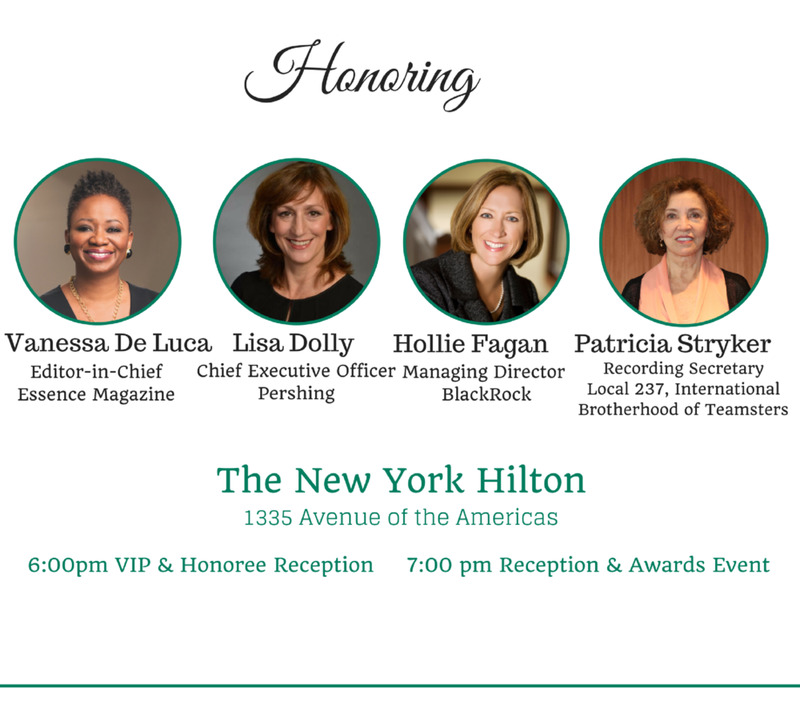 Our honorees, Suni Harford, Managing Director and Regional Head of Markets for North America at Citi, and Stephanie Ruhle, MSNBC Anchor and Co-Anchor of Weekend TODAY on NBC, are two women who are champions of women’s empowerment and the importance of financial independence. 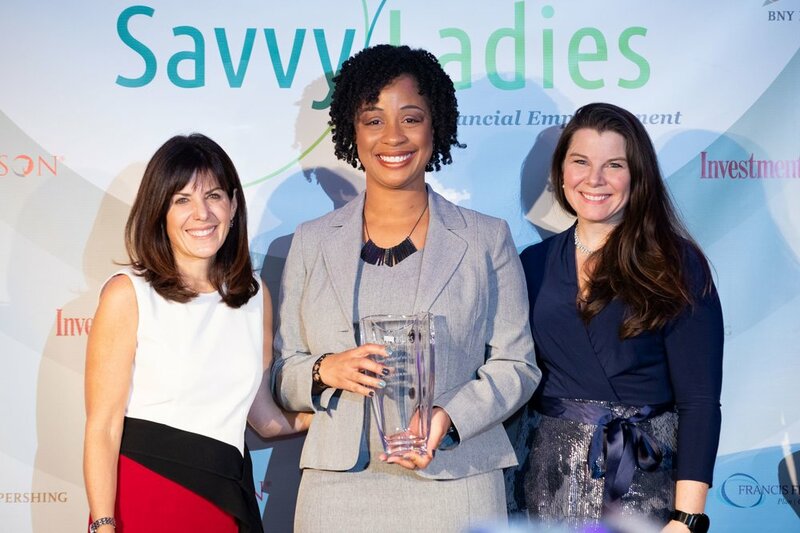 Once again this year Savvy Ladies will present The Sayra Fischer Lebenthal Award for Professional Excellence in Finance, The Change Maker of the Year Award, and The Savvy Lady of the Year Award. We are delighted to have as our Master of Ceremonies, financial expert, author, and motivational speaker, Jean Chatzky. Jean Chatzky, the financial editor for NBC's Today Show, is an award-winning personal finance journalist, AARP's personal finance ambassador, and the host of Money Matters with Jean Chatzky on RLTV. She is a longtime magazine columnist and the best-selling author of eight books, the latest of which is Money Rules: The Simple Path to Lifelong Security. She believes that knowing how to manage money is one of the most important life skills for people at every age and has made it her mission to help simplify money matters by increasing financial literacy. To that end, she recently launched Jean Chatzky's Money School - online classes on crucial financial topics like saving, budgeting, getting out of debt, and planning for retirement - that she teaches herself at JeanChatzky.com. Chatzky's books include the New York Times bestseller Money 911: Your Most Pressing Money Questions Answered, Your Money Emergencies Solved. Her book The Difference: How Anyone Can Prosper in Even the Toughest Times received the 2009 Books for a Better Life Award in the personal finance category. She is also the author of the New York Times and Business Week bestseller Pay It Down: From Debt to Wealth on $10 a Day, which was featured on The Oprah Winfrey Show's successful "debt diet" series. In 2009, the Consumer Federation of America awarded her the Betty Furness Consumer Media Service Award for her nearly two decades of pioneering personal finance education. She has also received the Clarion Award for magazine columns from the Association of Women in Communications and a Gracie Award from American Women in Radio and Television. The Chicago Tribune named her one of the country's best magazine columnists. In addition to her professional work, Jean Chatzky serves on the board of the Children's Heart Foundation and the National Foundation for Credit Counseling. 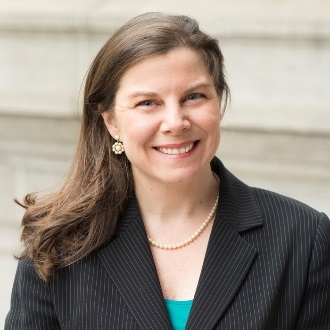 A graduate of the University of Pennsylvania, she is also a member of the Trustees' Council of Penn Women and on the board of the Kelly Writers House. A formidable business woman with the highest of standards,Sayra Fischer Lebenthal believed that serving clients with honesty and integrity was the best and only way to do business. 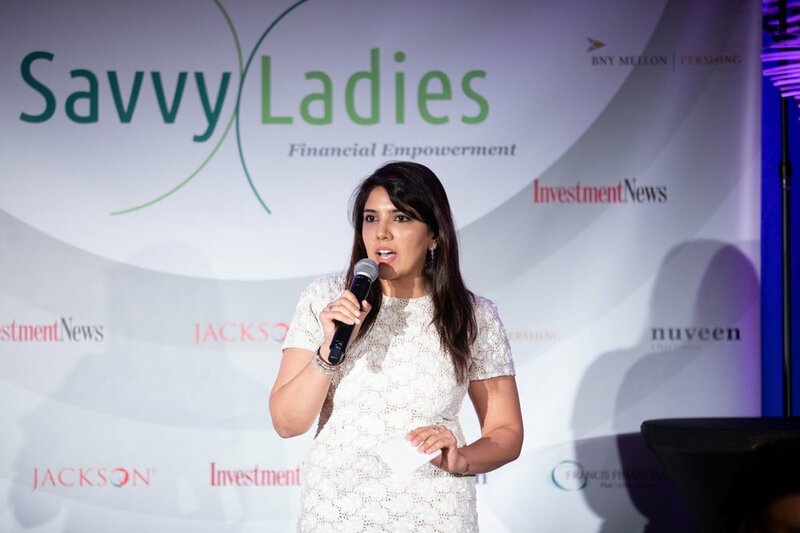 This award is presented to a woman in the financial services profession who, like Sayra, believed in teaching women the importance of understanding their investments and taking responsibility for their financial lives. Sayra Fischer Lebenthal (October 1898 – March 1994) was a Wall Street Legend. In 1925 at the age of 27, Sayra Fischer Lebenthal cofounded the investment banking firm Lebenthal & Company with her husband Louis Lebenthal, and was responsible for democratizing the Municipal Bond business. The company thrived, continuing to do so even after the death of Louis Lebenthal in 1951. Mrs. Lebenthal, grieving, decided to stay in business, becoming the first woman to run a Wall Street brokerage firm. She specialized in tax-exempt municipal bonds for small investors, and watched the market for them soar. Among her innovations: She organized a department exclusively for women investors. Sayra continued to work full time until the age of 92. Alexandra Lebenthal, President and CEO, Lebenthal & Co.
Ms. Bucaoto is a senior marketing manager with fifteen plus years’ experience in managing global marketing programs for major financial institutions. Her expertise lies in transforming concepts into solid and successful promotions, branding, and marketing campaigns. She is currently a marketing lead for a major insurance carrier where she is responsible for the promotion and marketing of a suite of retirement products. Ms. Bucaoto started her career at JPMorgan Chase as a customer service representative. Her stint in this role provided the impetus to seek out positions in marketing leading to senior marketing positions at the Depository Trust and Clearing Corporation (DTCC), and Citi. She has been involved in a comprehensive array of marketing initiatives and customer services that involve business-to-consumer (B2C) and business-to-business (B2B) programs. She earned her Bachelor of Business Administration degree in Marketing from Baruch College. Suni Harford is a Managing Director and Citigroup’s Regional Head of Markets for North America. In this capacity, Suni oversees the North American sales, trading, and origination businesses of Citi's securities and banking franchise. Suni is a member of Citi’s Pension Plan Investment Committee, and a Director on the Board of Citibank Canada. From 2010 - 2015, Suni was the Co-Head of Citigroup’s global women’s initiative, Citi Women. Ms. Harford serves on the Board of Directors of the Securities Industry and Financial Markets Association (SIFMA), the financial services industry advocacy group, as well as the Board of Directors of The Depository Trust & Clearing Corporation (DTCC), the world’s largest post-trade financial services company. 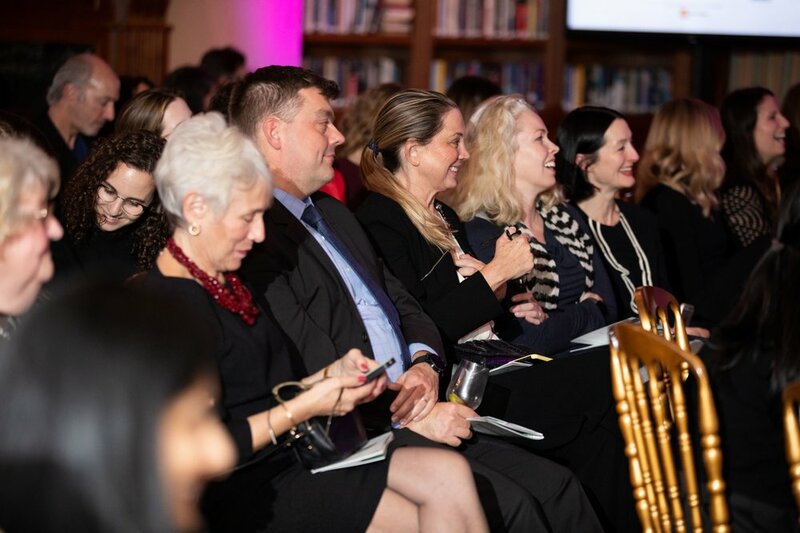 Suni also serves on several non-profit Boards, including Friends of Hudson River Park, Taproot Foundation, and recently finished her second term with The Forte Foundation, a national, non-profit organization dedicated to increasing the number of women leaders in business. Ms. Harford is also passionate about awareness and support for our veteran community, and is involved in many organizations in this regard. In addition to serving on the US Chamber of Commerce Veteran’s Employment Advisory Council, Suni has worked with First Lady Michele Obama’s Joining Forces initiative. She represents Citi as a founding member of Veterans on Wall Street, a coalition of major financial services firms established in 2010 to engage the broader industry in efforts to support our transitioning veterans. Having helped formalize Citi’s very successful Veterans Initiative, CitiSalutes, in 2009, Ms. Harford remains the senior business sponsor for the initiative. For those efforts, Ms. Harford recently received the Outstanding Civilian Service Award from the US Army. Suni lives in Connecticut with her husband Woody, three children (Devon (18), Jenna (14) and Liam (11) and their dogs, Sully and Mike Wazowski. Stephanie Ruhle is an MSNBC anchor and co-anchor of Weekend TODAY on NBC. Ruhle previously served as anchor and managing editor for Bloomberg Television and editor-at-large for Bloomberg News, where she co-hosted Bloomberg <GO>, Bloomberg TV’s flagship morning show featuring global thought leaders across business, tech and media. At Bloomberg, Ruhle regularly interviewed industry titans such as Donald Trump, Goldman Sachs CEO Lloyd Blankfein, legendary investor Stanley Druckenmiller, NBA MVP Stephen Curry, Chairman and CEO of JP Morgan Jamie Dimon, Martha Stewart, Sean Parker, former Vice President Al Gore, Masters winner Jordan Spieth, Miami Heat star Dwyane Wade, CEO and Chair of Macy’s Terry Lundgren, and music moguls Sean “Diddy” Combs and Kanye West. In 2015, Ruhle produced and hosted the documentary Haiti: Open For Business?, which sheds light on the country five years after it was hit by a devastating earthquake and explores its viability as the next emerging market. Ruhle also participated in a short-form documentary, Sharkland: A Mission Blue & Fusion Expedition, which brings attention to the plight of sharks and the urgent needs to conserve our oceans. Ruhle plays an active role in women’s leadership development, having founded the Corporate Investment Bank Women’s Network and co-chaired Women on Wall Street. Ruhle is a member of the board of trustees for Girls Inc. NYC, an organization that provides life-changing programs inspiring girls to be strong, smart and bold; in 2016, she was honored as one of their Women of the Year. Ruhle currently sits on the board and advises for "React To Film," an issue-based documentary film series, and formerly served on the corporate councils of iMentor and The White House Project, a non-profit organization that works to advance women in business, government and media. Prior to Bloomberg, Ruhle worked at Deutsche Bank, serving as a Managing Director in Global Markets Senior Relationship Management. Ruhle began her career at Credit Suisse, where she was the highest-producing credit derivatives salesperson in the US. Ruhle received a bachelor’s degree in International Business from Lehigh University and resides in New York City with her husband Andy Hubbard and their 3 children, Harrison (10), Reese (7) and Drew (3). This year marks the 10th Anniversary of the Savvy Ladies Annual Gala Fundraiser. We are thrilled at the opportunity to host our event at the NASDAQ MarketSite in the heart of Times Square. The MarketSite houses a state-of-the-art digital broadcast studio that transmits approximately 100 live market updates and is the broadcast home of Fast Money. 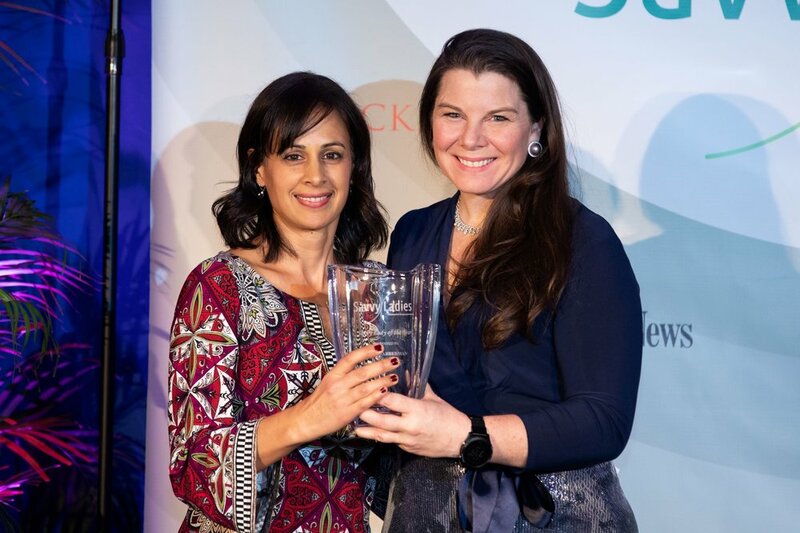 Our honorees, Alexandra Lebenthal, CEO of Lebenthal & Co, and Stephanie Newby, CEO of Crimson Hexagon, perfectly reflect the event’s theme as we dedicate the evening to female entrepreneurs and the growth of women-led businesses. 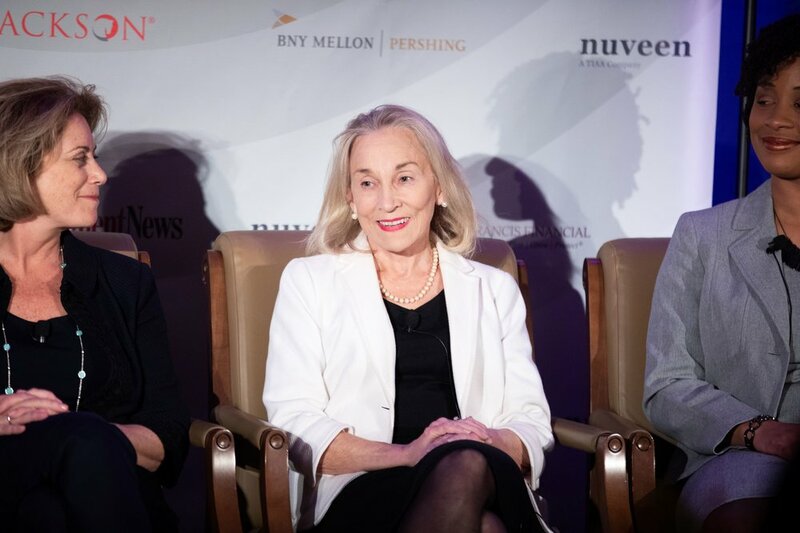 To acknowledge a pioneer of Wall Street, Savvy Ladies will award for the first time The Sayra Fischer Lebenthal Award for Professional Excellence in Finance, in honor of the Cofounder of Lebenthal & Company, Sayra Fischer Lebenthal. 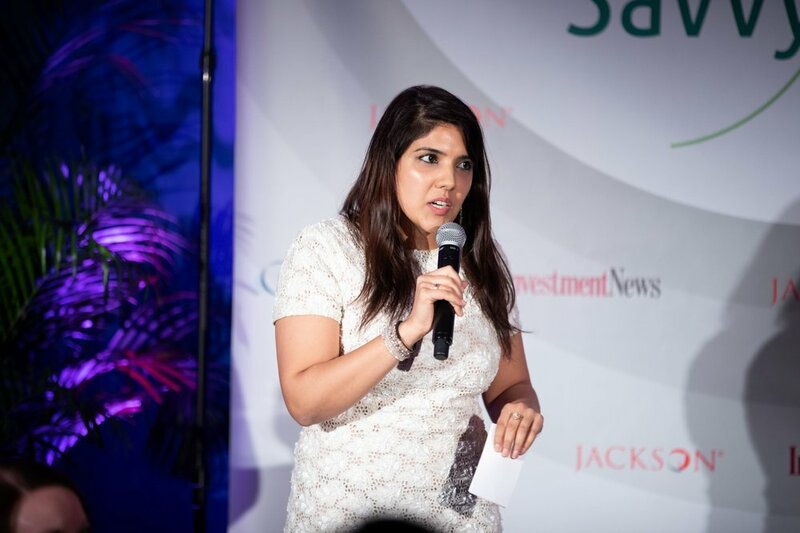 An entrepreneur and innovator, Sayra became the first woman to run a Wall Street brokerage and the first to organize a department exclusively for women investors. 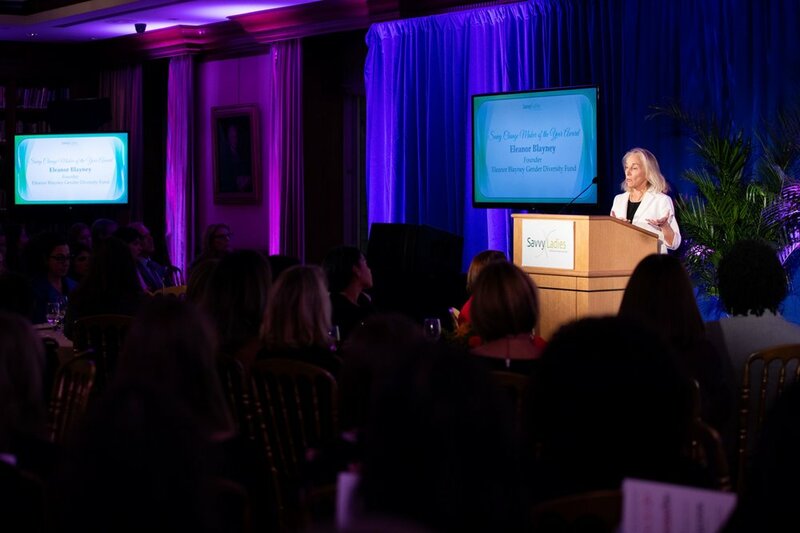 The Savvy Ladies community will come together on October 15th for our Annual Benefit Gala, Celebrating the new face of business: today’s female entrepreneur. The rising number of female-owned businesses has been key to the recovering US economy. In 2014 there were 9.1 million women-owned businesses, employing 7.9 million people and generating 1.4 trillion in sales. As we celebrate our achievements in business, let’s dedicate ourselves to the empowerment of all women. This year we will present The Sayra Fischer Lebenthal Award for Professional Excellence in Finance in honor of the Cofounder of Lebenthal & Company, Sayra Fischer Lebenthal. It is fitting that Alexandra Lebenthal, CEO of Lebenthal Holdings, will be the first recipient of the award that honors her grandmother. 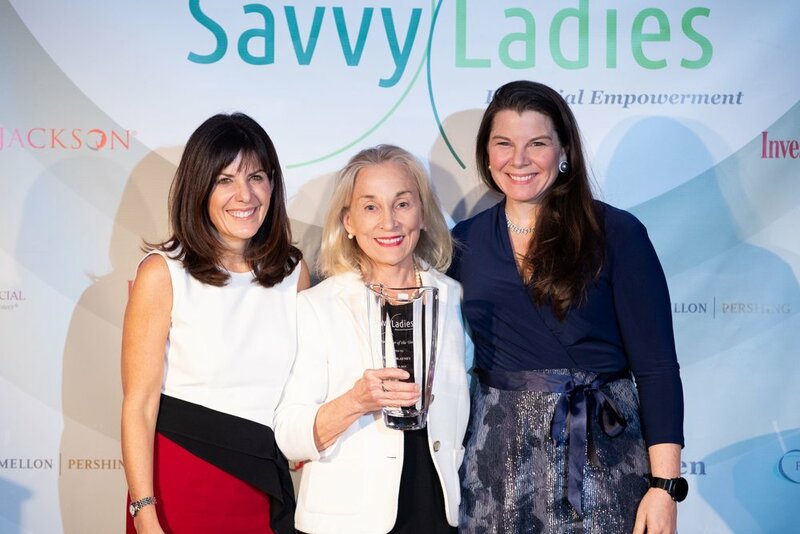 The Savvy Ladies Board of Directors chose to create an award to honor the legacy of one of the first women on Wall Street, Sayra Fischer Lebenthal, who in 1925, along with her husband Louis, democratized the municipal bond business. 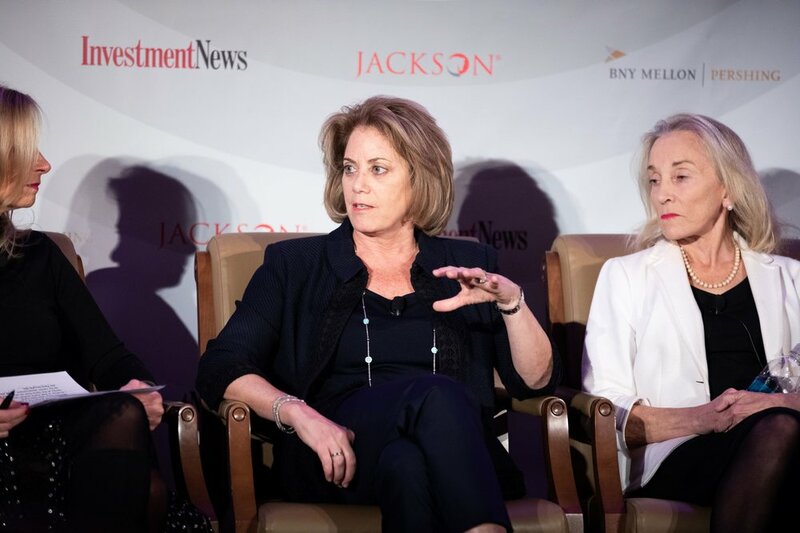 A positive female force on Wall Street, Alexandra Lebenthal shares her grandmother’s passion to ensure that women are educated about their investments. We are also pleased to present the Savvy Ladies Change Maker Award to Stephanie Newby, CEO of Crimson Hexagon and Founder of Golden Seeds. 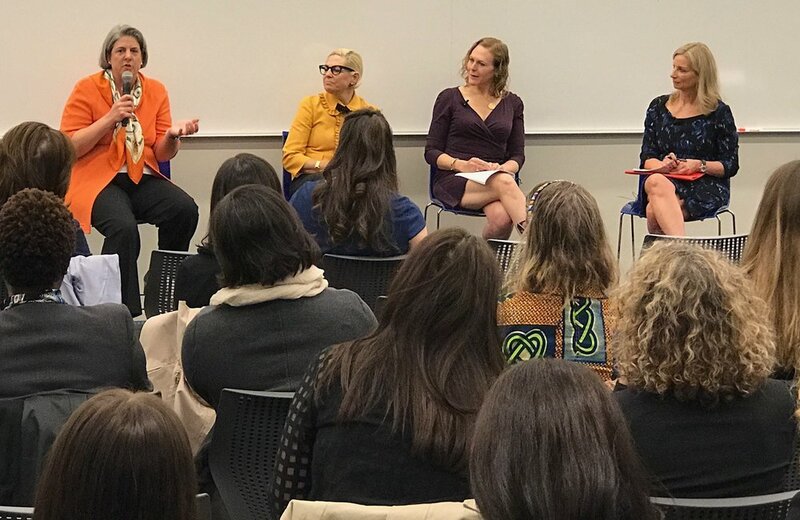 After a successful career on Wall Street, Stephanie wanted to provide early stage funding to women entrepreneurs, which in 2005 were only receiving 5% of venture capital investment dollars. Since its beginnings, Golden Seeds has invested over $70 million in more than 65 exciting women-led enterprises. 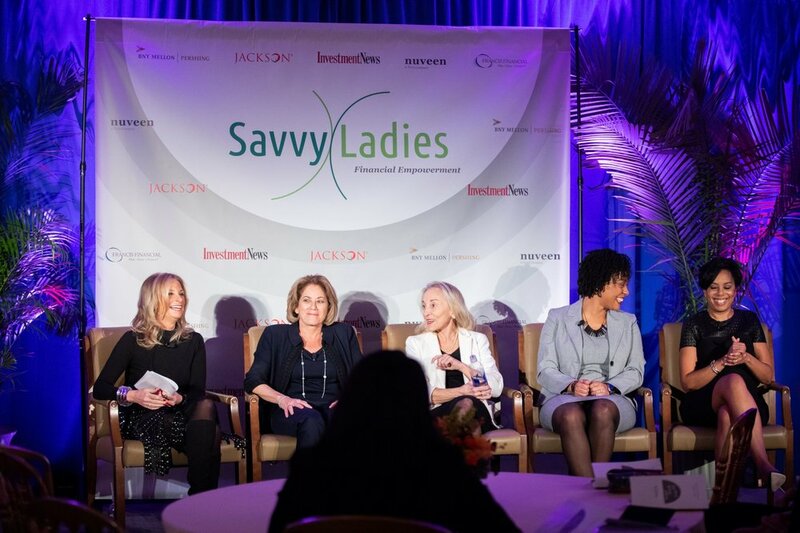 Savvy Ladies is a unique organization dedicated to the financial empowerment of women. To date, the organization has provided educational programs and resources to more than 12,000 women to ensure they are prepared and proactive about their finances. In the decade since Savvy Ladies began offering free workshops, the statistics regarding the financial well-being of women are still alarming. Women will receive half the benefits of men in retirement due to lower pay and fewer years in the workforce. Today three out of five women over 65 cannot afford to cover their basic needs. As a community of business leaders, we need to address the quiet epidemic that keeps women at an economic disadvantage. 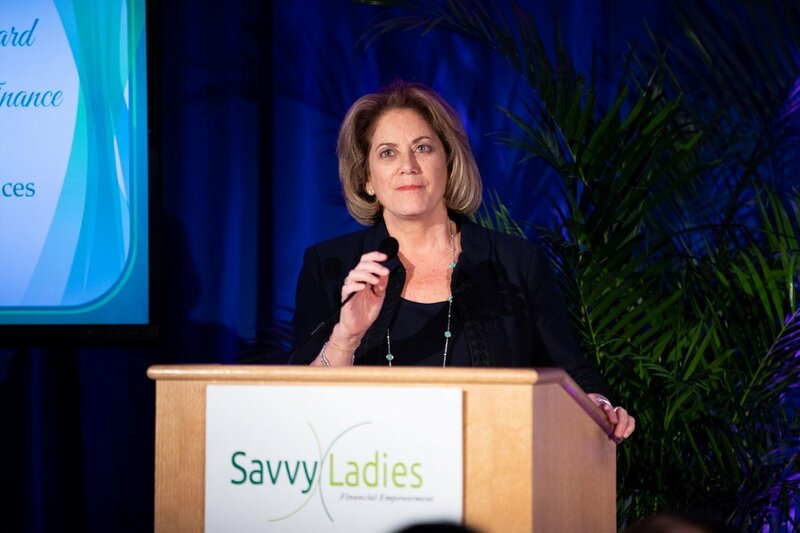 On behalf of the entire Savvy Ladies Board of Directors, we thank you for your support of the important work Savvy Ladies is doing to empower all women. We hope to see you at this year's event! The Savvy Lady of the Year Award recognizes someone who has demonstrated significant fiscal responsibility in her own life, as well as encouraging others to do the same. The recipient of this award is committed to continuing financial education, the cornerstone of the Savvy Ladies’ mission. Laura Lifshitz is a pint-sized, battery-operated, tour de force of wit and neuroticism from the Garden State. She is the youngest of four girls (yes, her poor father – that's Hal to be exact) and a comedienne, writer, Columbia University graduate & ex-MTV personality. As she watched her marriage fall apart with a bonafide good man but bad match, she put herself and her life back together by writing about her experiences. A contributor for the "New York Times The Motherlode", "The Huffington Post", "PopSugarMoms", "HuffPostLive" and more, read her rantings on marriage, divorce, parenthood, and life at frommtvtomommy or follow her on Facebook or Twitter. "I was a stay-at-home mother who merely taught part time and freelanced while my husband ran the finances and paid our bills. I had lived on my own before I met him, but when we decided to divorce, I was afraid of managing my finances again, especially since due to being out of the workforce, my income isn't sizable. Savvy Ladies got me in touch with a financial planner for free and I was able to get a budget planned, as well as some support in trying to make smart financial choices in the most devastating of times (a home foreclosure, divorce, and student loan repayments). I will never be so dependent on anyone again, and I am so grateful for all of Savvy Ladies' help." - Laura L.
As CNBC's senior personal finance correspondent, Sharon Epperson covers the many facets of how people manage, grow and protect their money. Her expertise includes saving and investing for retirement, paying for college, managing mortgage, student loan, credit card and other debt, and building a financial legacy through estate planning. Epperson was named one of the "Best Personal Finance Experts of 2014." In addition to reporting for CNBC and CNBC Digital, she hosts the weekly original CNBC Digital video program "Retire Well," which is CNBC's top-performing digital show. She also appears regularly on the syndicated program On the Money and Public Television's Nightly Business Report. Both shows are produced by CNBC. Epperson is also a regular contributor on NBC's Today, NBC Nightly News, MSNBC and NBC affiliates nationwide. Sponsors: Duane Morris, Guaranteed Home Mortgage, Barefoot Wine & Bubbly, Devotio – A Production Company, GUS (Grown Up Soda), Karlssons Vodka, Dynamic Events, Milk N’ Honey, Urban Scar Photography, Money Magazine, GLOW Beauty Magazine, Kiss Products, Lash Card, Melaleuca, Brownie Crunch, JewelMint, Emergen-C, Raw Revolution. 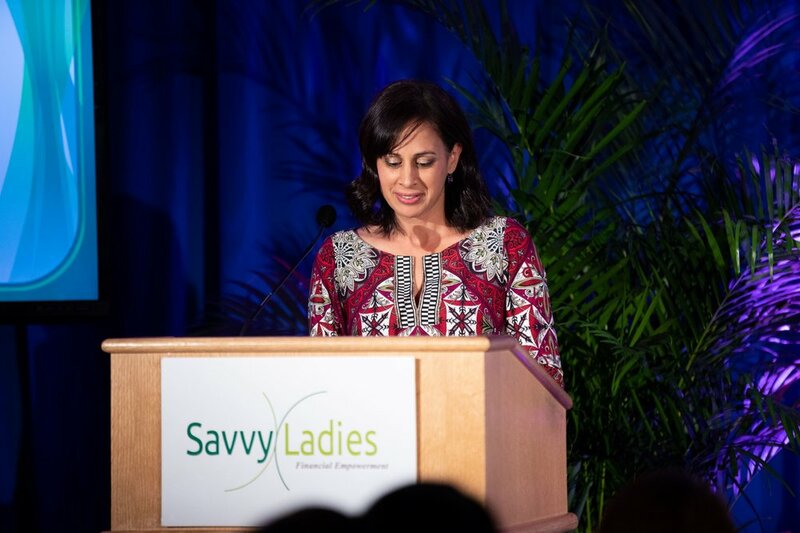 Summary: Our Savvy Ladies Benefit Gala honored personal finance expert, author and TV personality, Farnoosh Torabi, as Savvy Ladies’ 2012 “Change Maker of The Year”. Farnoosh Torabi is a highly sought-after speaker and frequent financial contributor to Yahoo! Finance and The Today Show. She currently hosts the Webby-nominated show “Financially Fit” on Yahoo!, the number one personal finance web series teaching everyday Americans how to boost earnings, save more and spend smart. She has also recently joined Katie Couric’s new talk show “Katie” as the program’s personal finance expert! 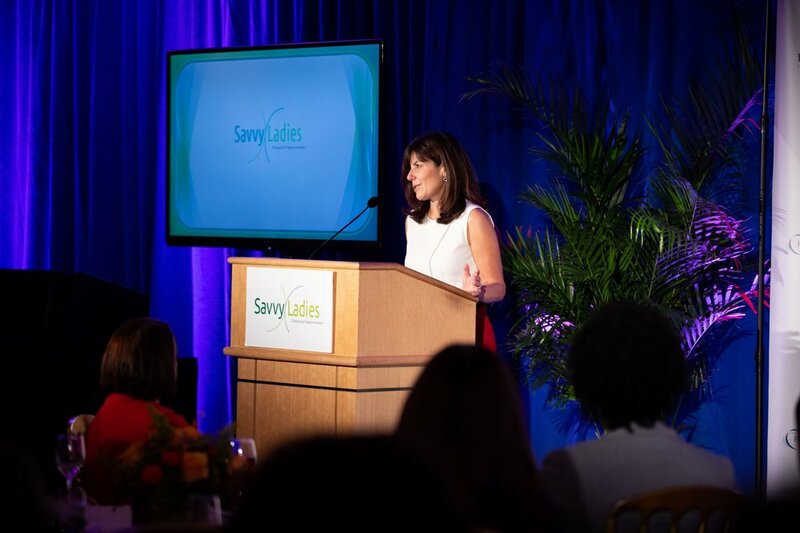 Guests celebrated the launch of our new website featuring video testimonials from women whose lives have positively changed because of the Savvy Ladies mission. They Enjoyed an evening of Live Music, Silent Auction, Live Auction, Door Prizes, Raffles, Wine, Hors d’oeuvres, and so much more!